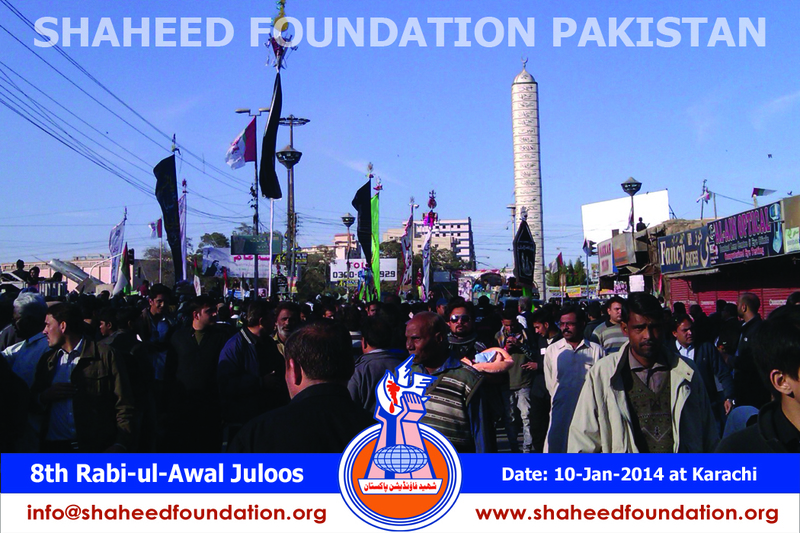 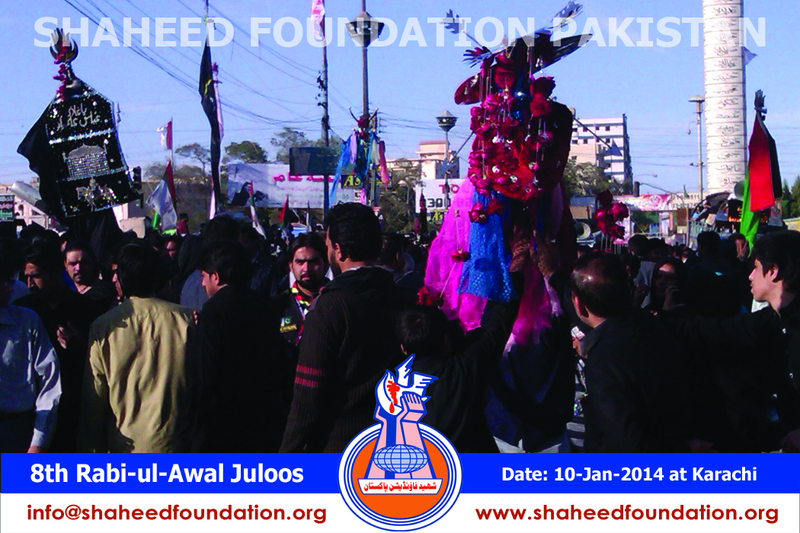 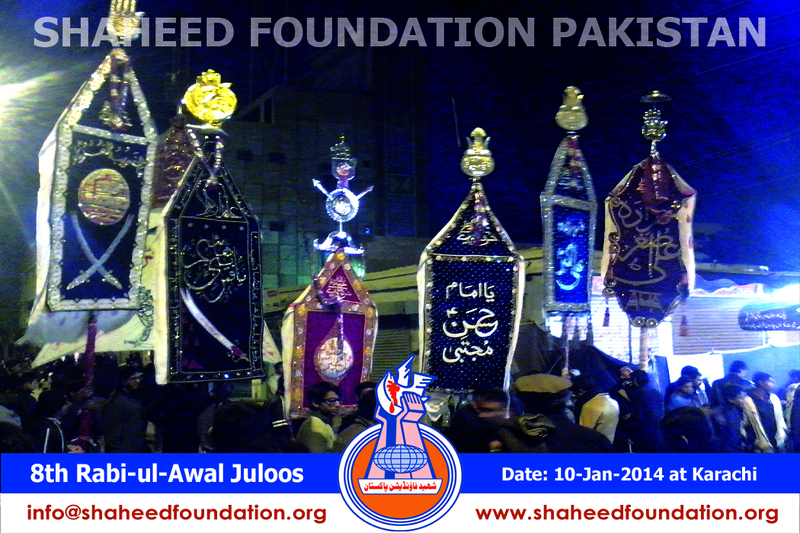 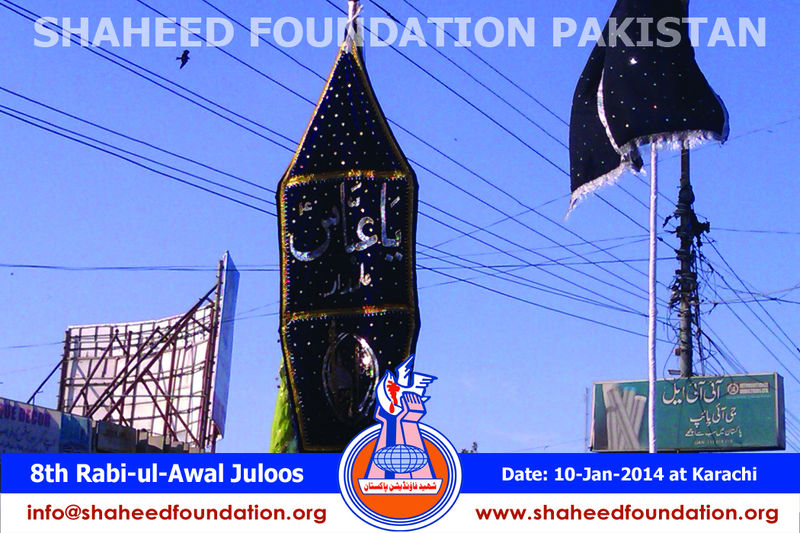 8th Rabiul Awwal Marks Major Congregations in Various Parts of the Country. 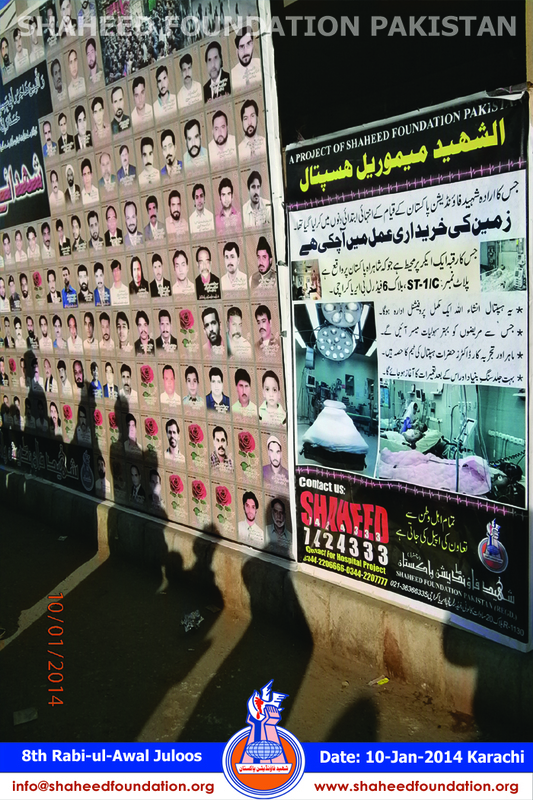 8th Rabiul Awwal marked mourning congregations of large scale across many cities and towns of Pakistan with a pledge that every day is Ashura and Every day is Karbala & that the followers of Imam Hussain(AS) can not even spend a single moment without being inspired by the rememberance of the supreme sacrifice of Imam-e-Aali-Maqaam Imaam Hussain (AS). 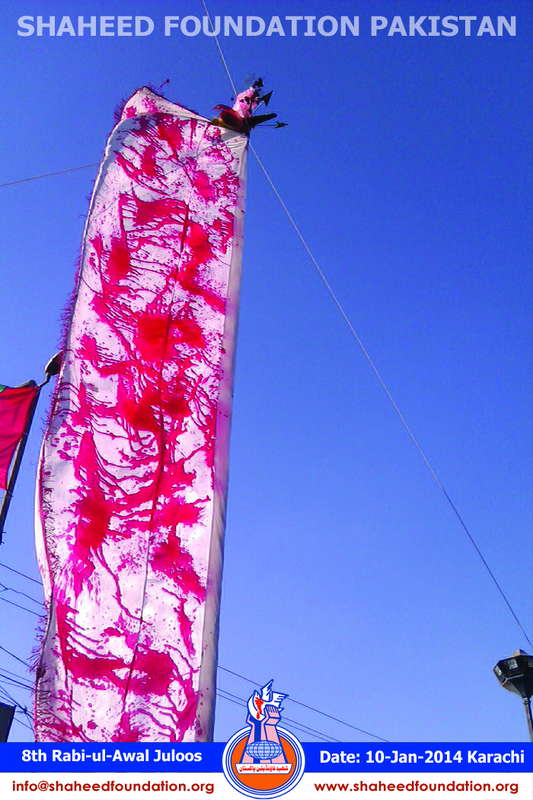 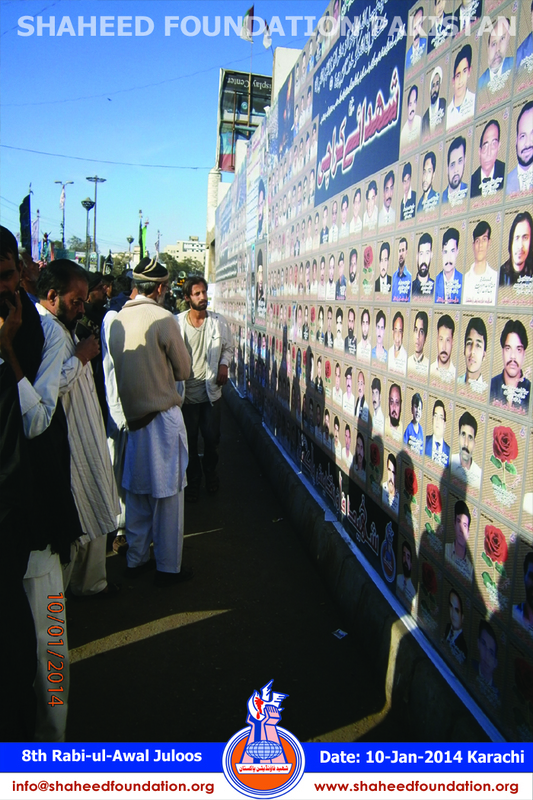 In Karachi Chup Tazia procession was taken out at MA Jinnah and the major procession was taken out from Qasr-e-Mosayyab and ended at Imambargah Shah-e-Najaf at Marton Road. 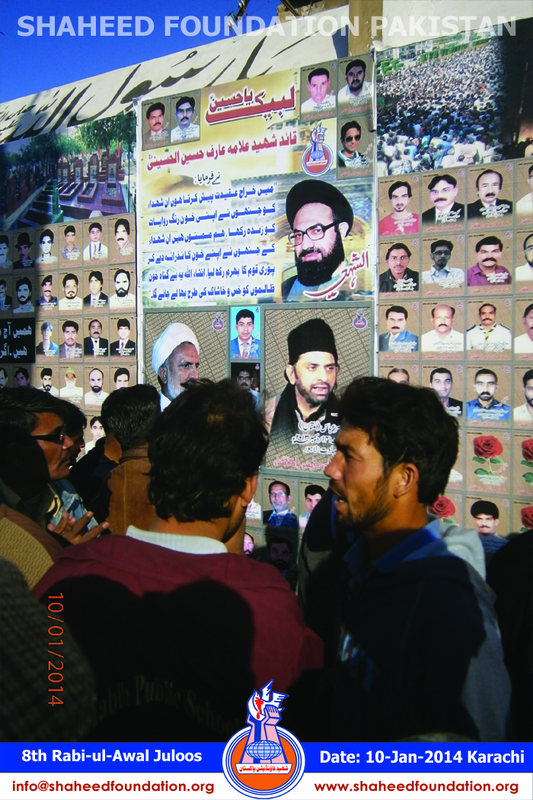 Large number of momineen and mominaat sobbing and wailing participated in the procession and the environment remained sombre as it traditionally the day marks concluding Azadari congregation of each year in the sub-continent. 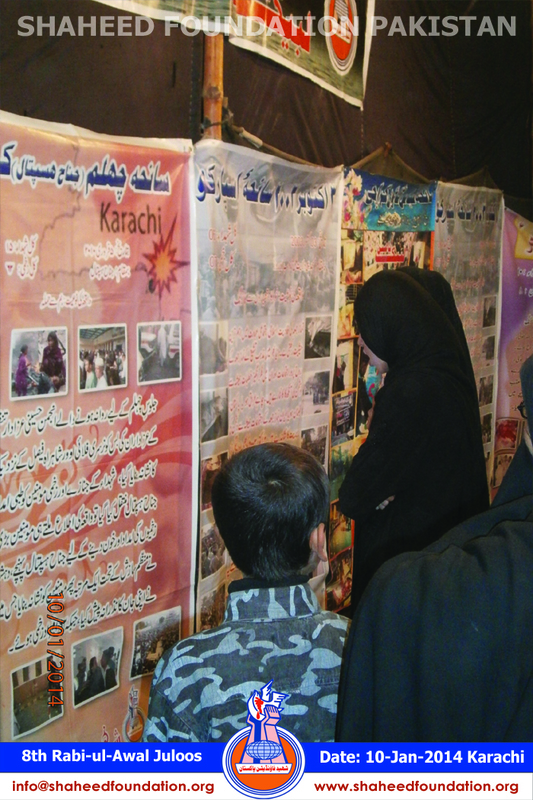 Noha Khwans and Zakireen described the Masayeb of Mohammad wa Aal-e-Mohammad in their presentations. 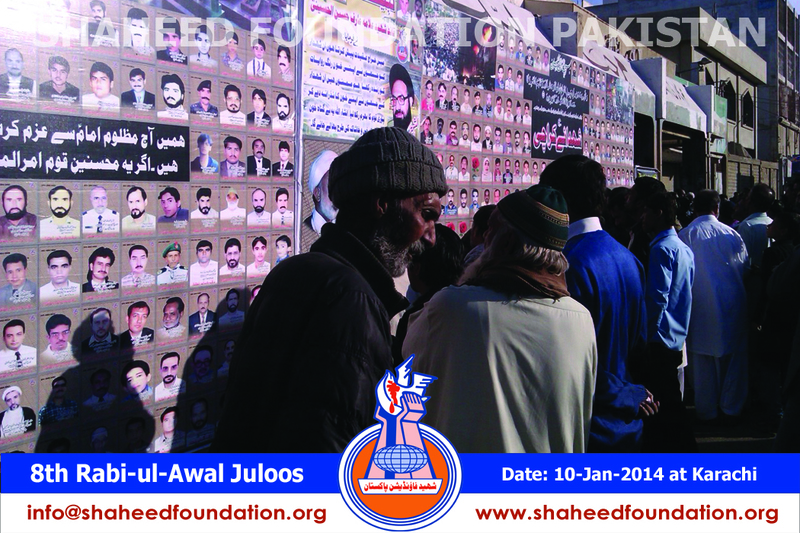 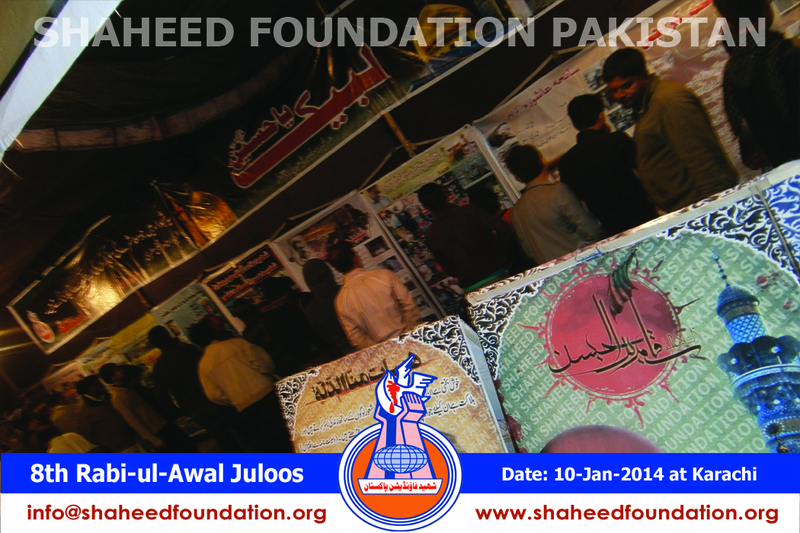 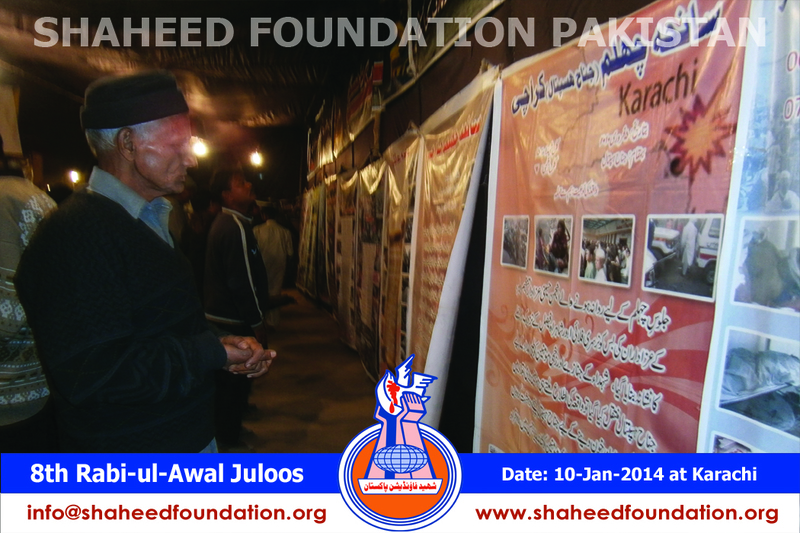 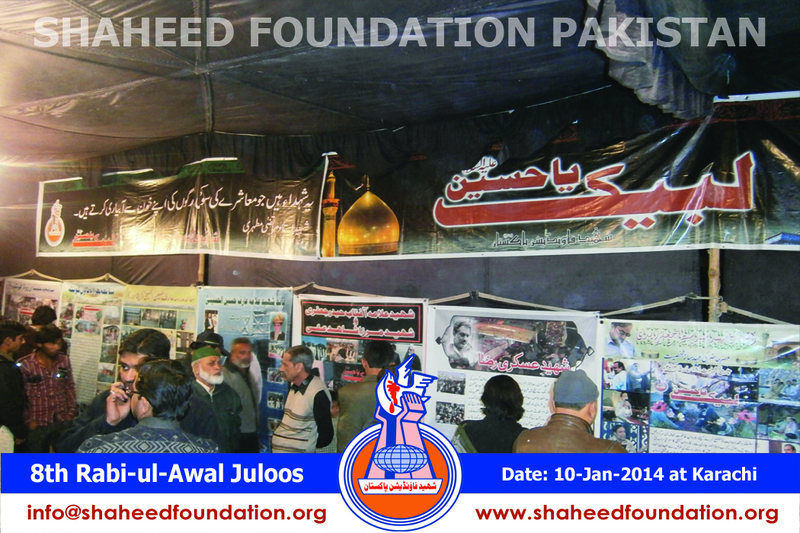 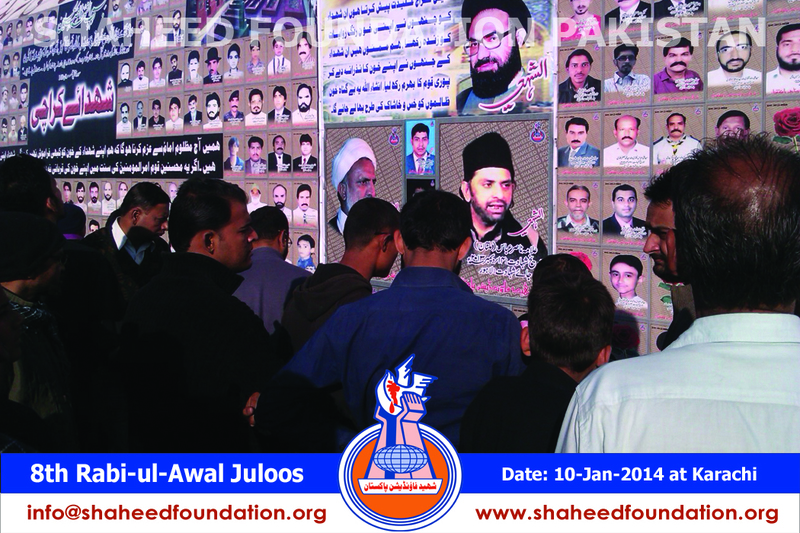 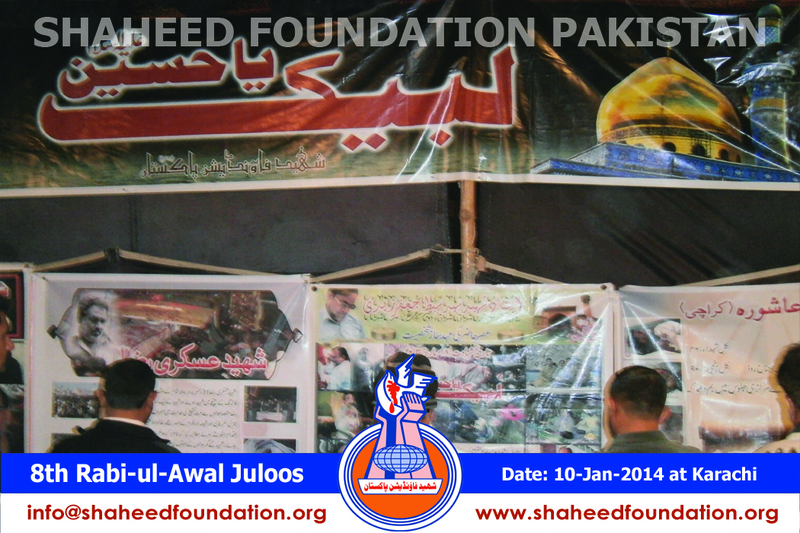 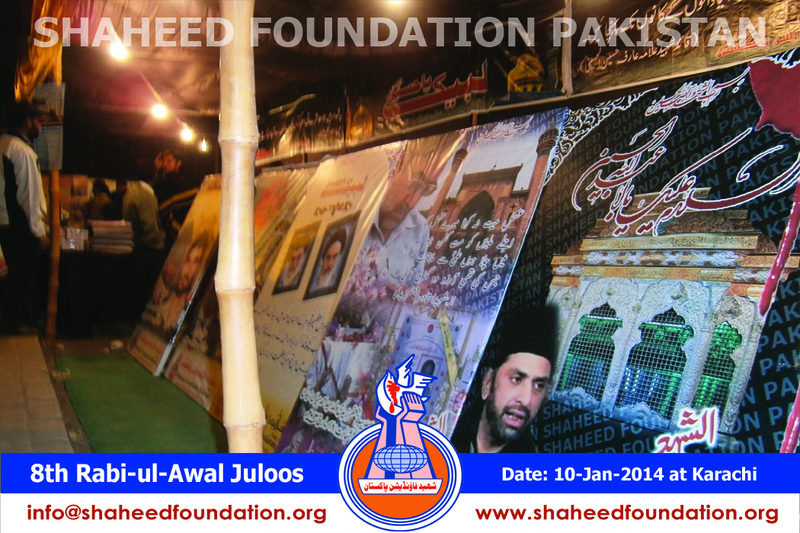 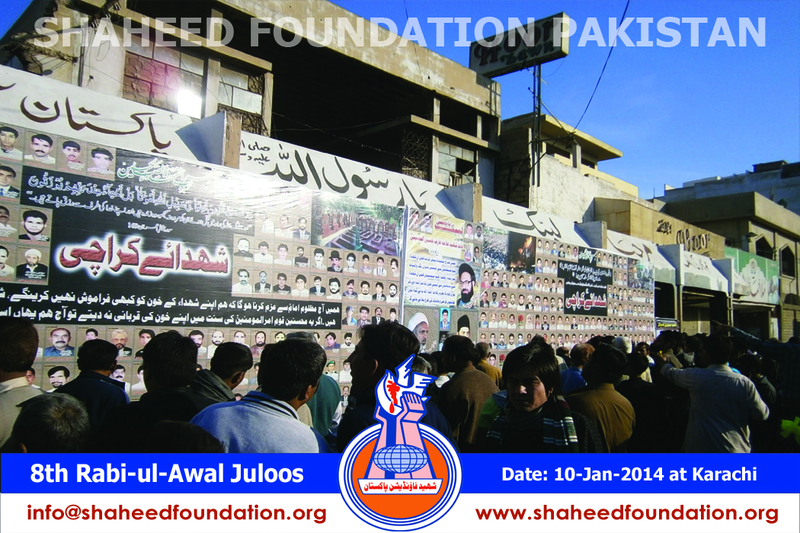 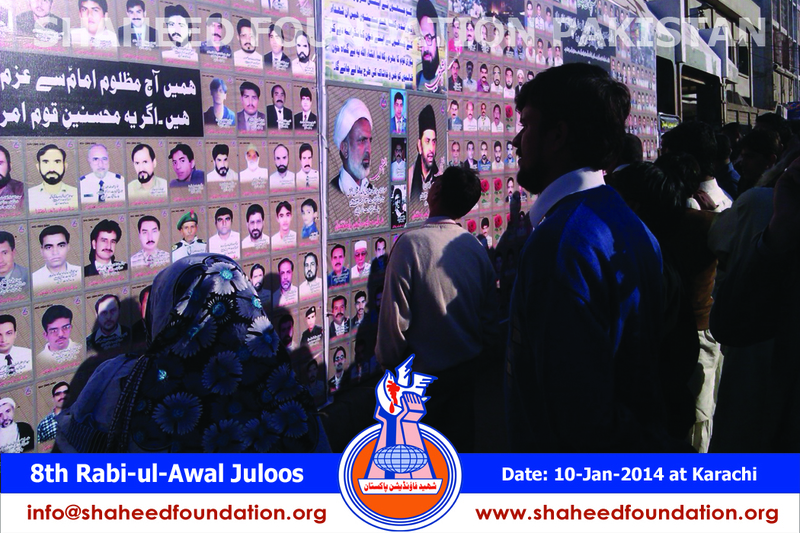 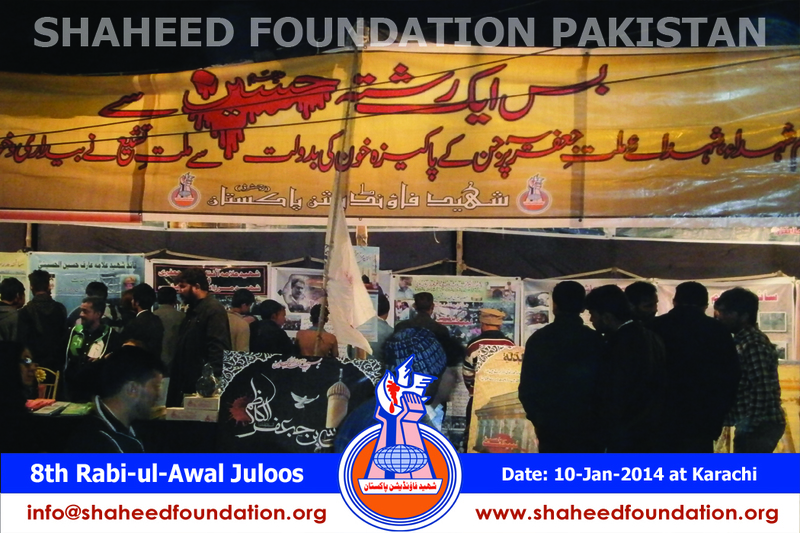 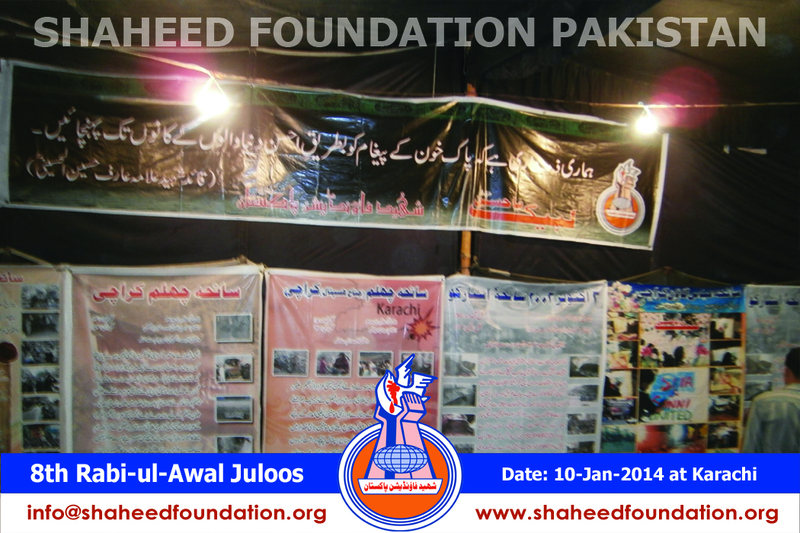 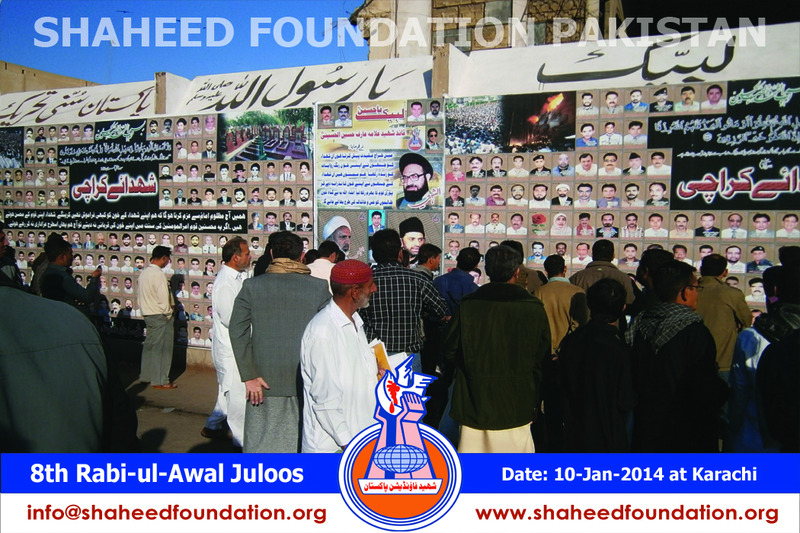 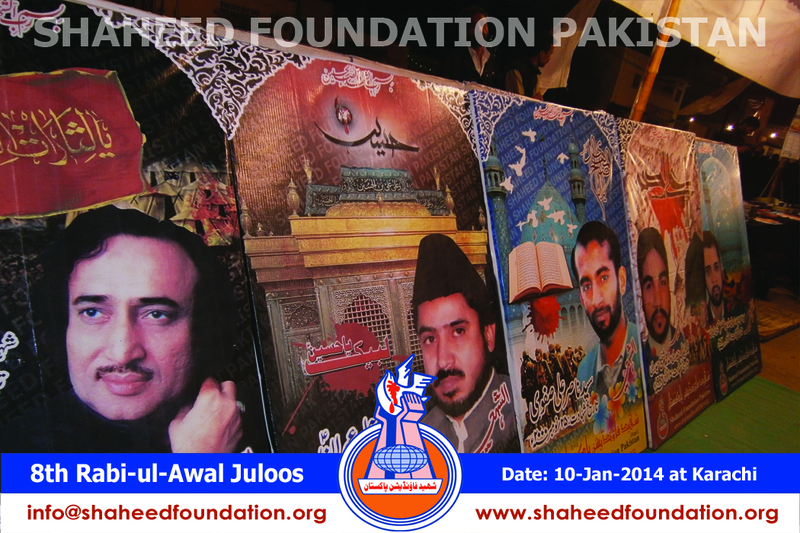 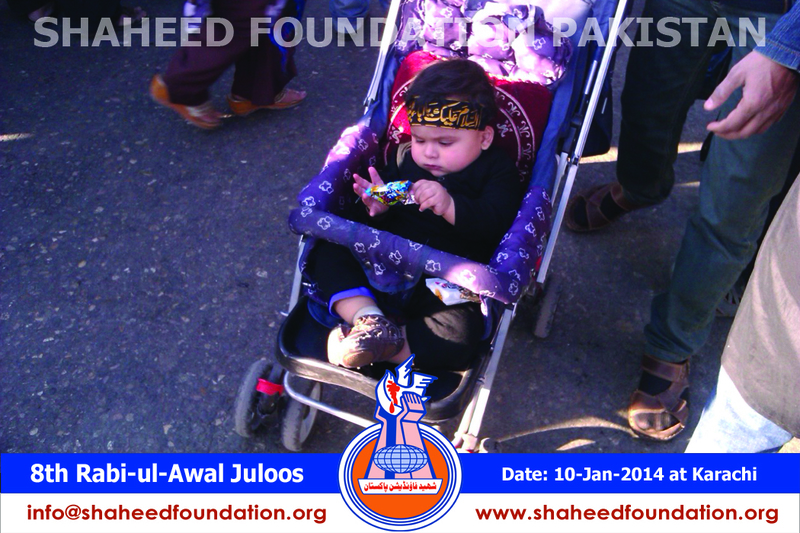 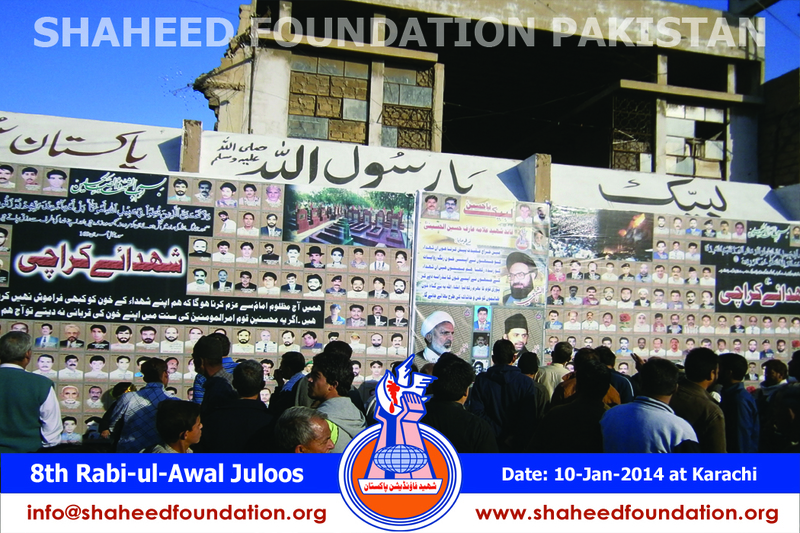 On this occassion Shaheed Foundation Pakistan managed the picture gallery of Shohada-e-Millat-e-Jaffaria Pakistan in the camp installed adjacent to the culminating point of the procession at Imambargah Shah-e-Najaf at Marton Road. 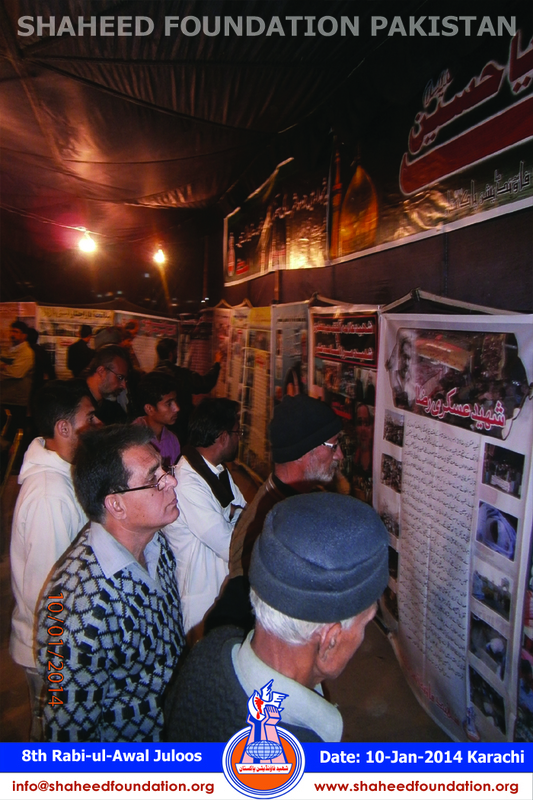 Ulema-e-Karam,Khanwadgan-e-Shohada,Momineen o Mominaat kept visiting the picture gallery of their loved ones throughout . 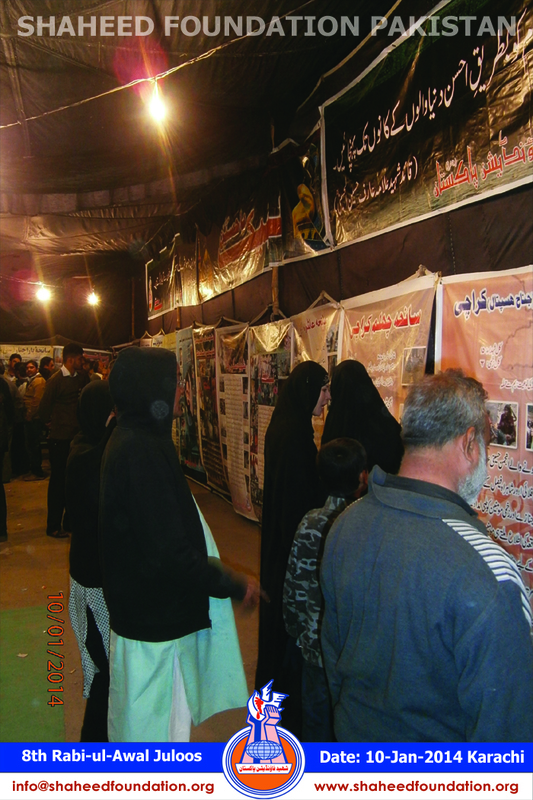 The mission of Hussain (AS) is alive and onus lies onto us to bring the pure teachings of Imam Hussain(AS) to the society by imbibing the spirit of the struggle in every moment we spend in the entire year. 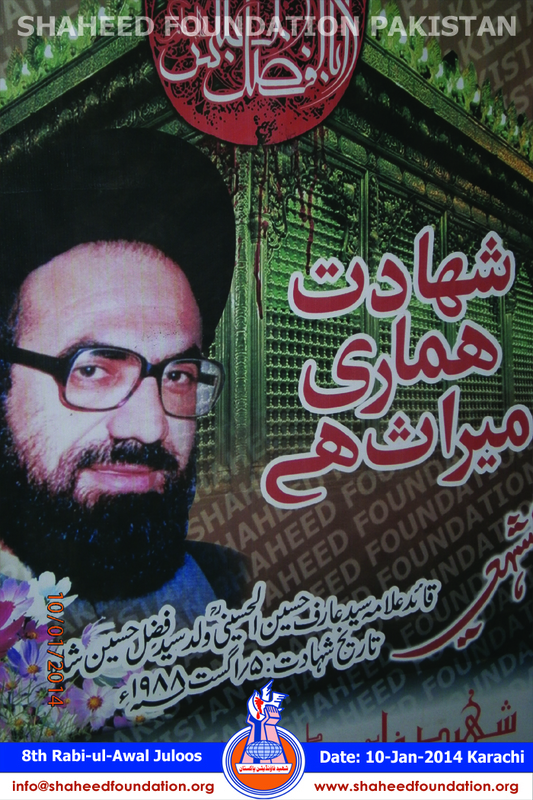 The message of Maula Hussain(AS) is unequivocal and reverberates as if fresh for thirteen some centuries in the form of his famous saying " Mislee laa yubayiu Mislak" - Mujh(Hussain (AS) ) jaisa, is (yazeed(LA)) jaisay ki baiyat nahi kar sakta . 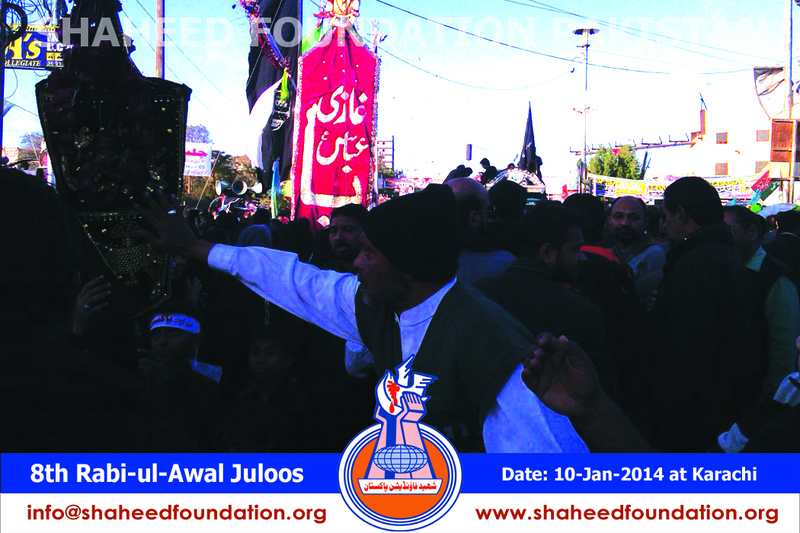 This day of 8th Rabiul Awal reminds us that the sublime message of Maula Hussain [AS] must be kept alive in its true spirit not just during days of mourning rather throughout the year . 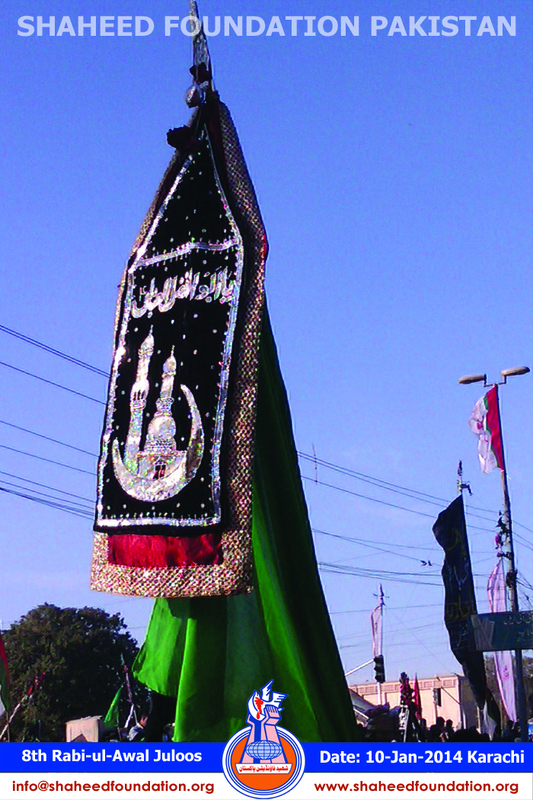 The greatest service is to bring the masses closer and closer to the teachings of Maula Hussain [AS] by the sheer strength of Hussaini character . 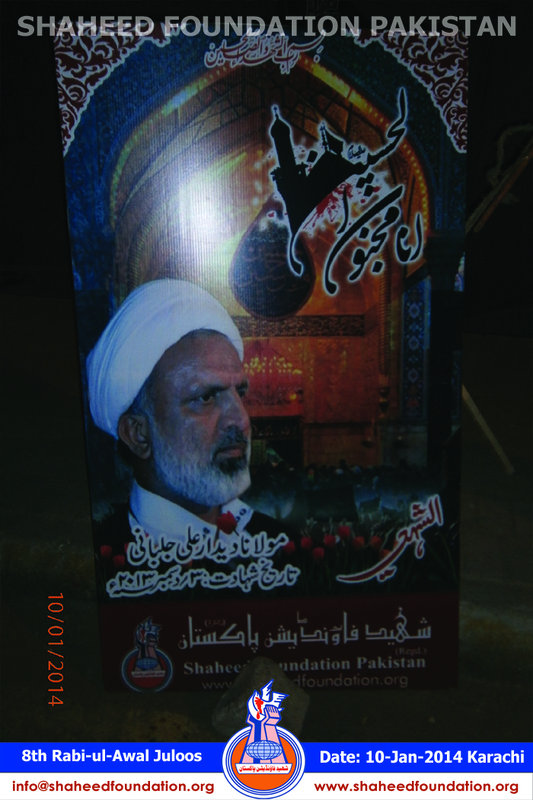 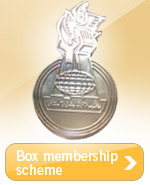 Momineen especially must take lead in forging greater and greater unity within and with other fellow countrymen and become the ambassadors of the Ahlul Bayt [AS] and Holy Masoomeen [Alaihimussalaam] by spreading message of love ,tranquillity ,purity and complete submission to the will of Allaah SWT. 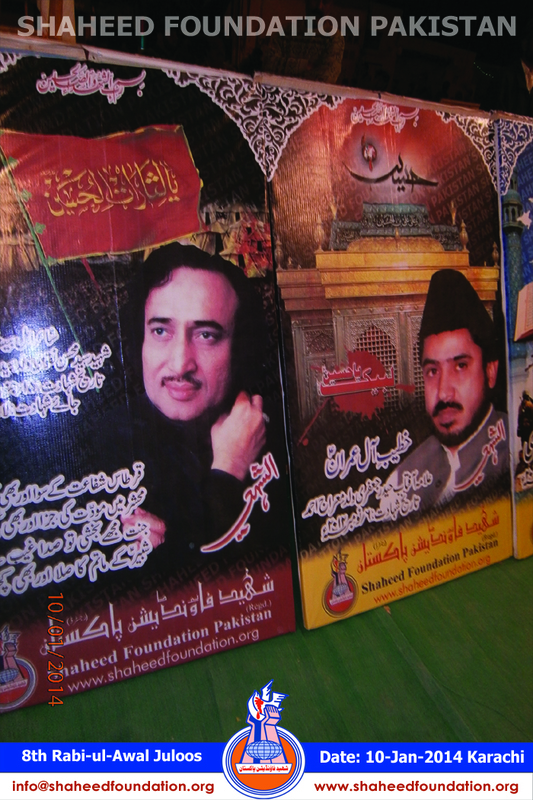 Dil Se Gham-e-Hussain na Ho Kam Khuda Karay! 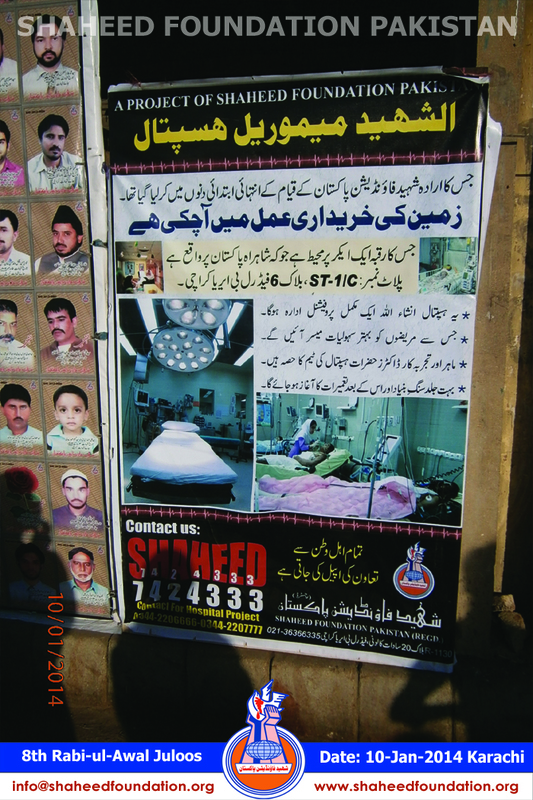 Lay Jaaon mein Lehad mein ,Yehi Gham,Khuda Karay!